One of my to do list before getting hitched last December was to get a facial (two weeks before my big day). I was fortunate to have collaboration with Deal Grocer. I immediately signed up with them and chose a deal from their Beauty Section. 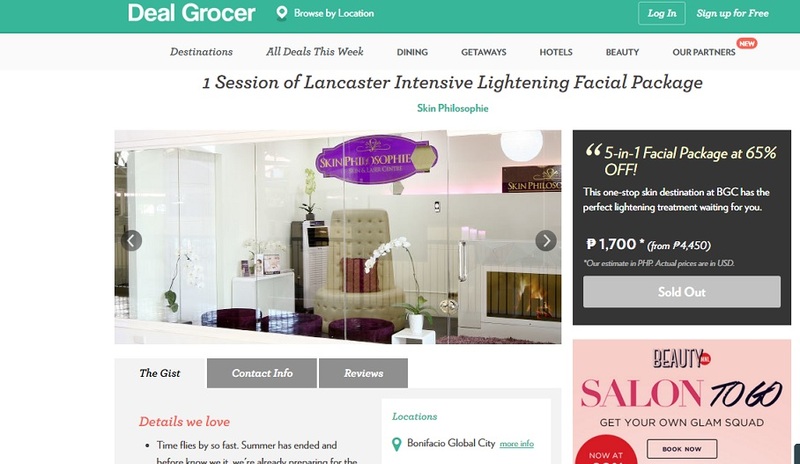 I got the Skin Philosophie Lancaster Intensive Lightening Facial Package which was 65% off deal. After a few days, the voucher was sent directly to my house. The process of purchasing from Deal Grocer was very quick and easy. 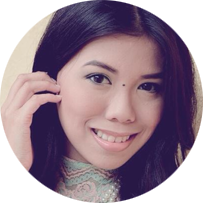 At Skin Philosophie, I had an initial consultation with Dr. Kyla before starting the procedure. She talked me through the process. The Lancaster Intensive Lightening Facial Package is a 5 in 1 facial which includes: Basic Facial, Lancaster Renewal Peel, Hydro-Jet Peel, Whitening Mask, and theVitamin C Ionto-Infusion. The facial started with gentle cleansing which removed all the dirt and gunk and gunk on my face after a day's work.It was immediately followed by a relaxing lymphatic massage and a galvanic facial muscle toning. 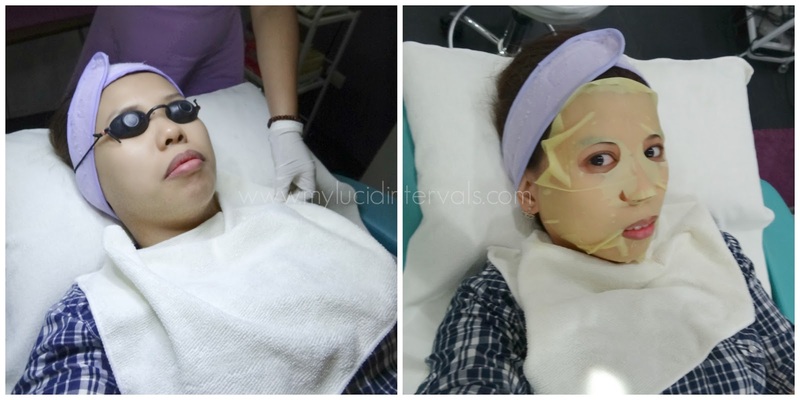 I wanted to skip this part because I do not like the tingling sensation of the electric current but the lady who did my facial assured me that there will be no unpleasant tingling effect. There was no pricking in the facial process, however, they used a metal scraper to remove all the dead skin cells and white heads on my face. This did not feel as painful as ordinary face pricking. The process took 45 minutes in total. The part that I love the most is their hydro jet peel which made my skin softer and supple. I also noticed that the sides of my nose felt clearer and the bumps got lessened. After the facial, I immediately noticed that my skin turned lighter and it looked more glowing. The effect of the facial was surprisingly immediate. I noticed that my skin looks and feels smoother. Overall, I am very pleased with my experience with Skin Philosophie and the very quick and easy process of buying at Deal Grocer. Ohh I'm so over with the pricking session. I should try this one :D Thank you for sharing this! Does the metal scraper hurts even a bit? I've got tons of pimple and acne breakout all over my face po. I wanted to continuously go to a facial salon ever since I decided to give it a try but the extraction really hurts. After that, my face was very red from all the pricking and extraction. It eventually fades, still, nakakapangit at first. Hoho! May ibang Skin Philosophie pa po kaya near Manila? I'd like to give this a try. Thanks, Ms. D!